Simplicity, joy of life, music, tapping your feet rhythm, is what characterizes the Cajuns of Louisiana. For my second visit to this irresistible country, I chose to immerse myself in this unique and invigorating atmosphere by travelling in the heart of the Cajun land, the region of Lafayette. I first spent a few days in Saint-Martinville hoping to see some interesting birds in Lake Martin. But the season had not yet begun in this chilly and rainy March. I therefore turned my focus to Acadian culture by visiting Vermilionville, the village-museum on Acadian and Creole history and culture in Lafayette and the villages of Erath and Abbeville located to the south of the city. My first stop in Cajun territory was at Betty’s RV Park. A small campground (17 sites) in Abbeville, but with a unique touch. The owner, Betty Bernard, is well-known among travellers and local musicians. No one knows the region better and makes it known with as much enthusiasm and passion. Upon my arrival, she offered to take me to a jam session in the neighbouring village of Erath where her « guests », the other campers, were already there. You can see it by watching the videos below. The next day, the jam session took place directly at the campground, in the communal lounge where everyone brought his dishes and drinks in a joyous Louisiana sharing. I spent two memorable days and only hope to return to enjoy the spirit of the place. I was a bit in a hurry to come back to Montreal because of a convocation as a jury candidate. It is a typical Acadian and Creole village with historical houses rebuilt on site or faithful reconstructions of buildings such as the village church. A boutique, a restaurant offering « Cajun » dishes, and a performance centre with music events by local artists every Sunday make it a lively and up-to-date place. 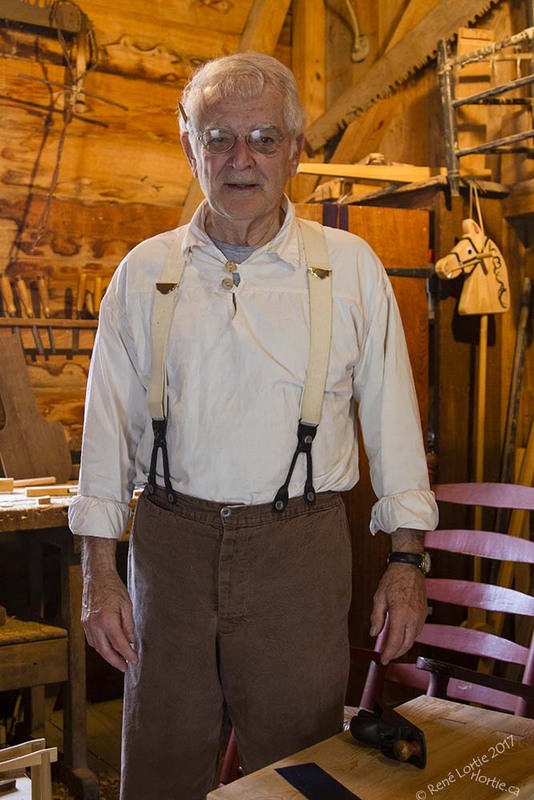 I had the opportunity to talk with a wood craftsman, M. Arceneaux, and a musician, Jules Guidry, called Nonc ‘Jules. He actually is the host of a weekly program Le Bal du dimanche après-midi on the local public radio KRVS. We can listen to Zacharie Richard music from time to time. 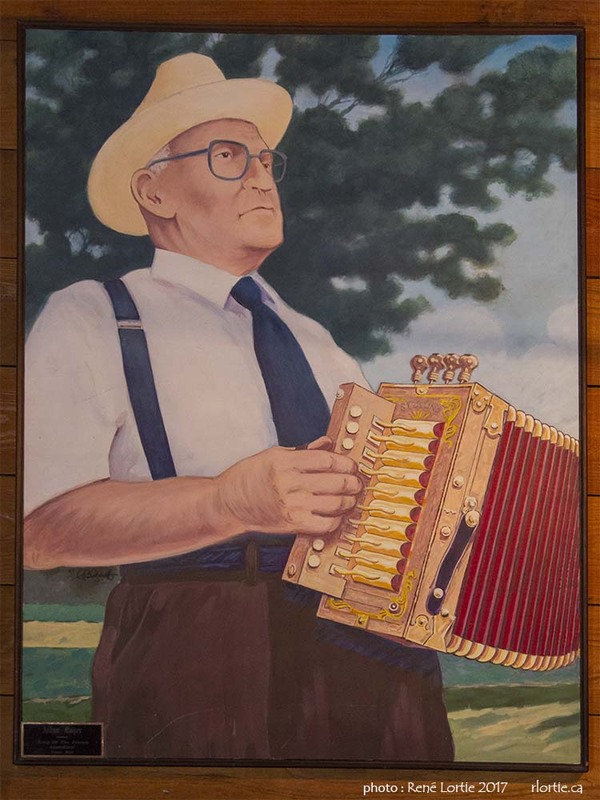 It was Jules Guidry who directed me to Randol’s restaurant where every night there are Cajun or Creole artists (Zydeco). Wednesdays are reserved for « locals » where artists and dancers mix in a relaxed and very friendly atmosphere. I tasted a bowl of seafood gumbo and a crawfish etouffée, typical Louisiana dishes. I shot the following unpretentious little video at Vermilionville and at Randol’s on Wednesday, March 8, 2017 with my iPhone. Before returning definitely to the North and my duties as a citizen, I stopped two days in Baton Rouge to visit the city I had neglected on my previous trip. Capital of Louisiana, it is mainly a university and administrative city. The neighborhood where the municipal campground is located, where I stopped, looks like a high-income area, which contrasts with the small towns in the Lafayette region that seem to be much more economically disadvantaged. The name Baton Rouge was given by the French settlers and used by d’Iberville. Native Americans were planting heads of fish and bears on large red poles as sacrifices. From the campground, a bike trail along the Mississippi River leads directly to downtown Baton Rouge. So I went there on a beautiful Sunday afternoon and walked after leaving my bike in the port of the city. Quiet and pleasant walk through the virtually deserted streets. I only had my iPhone to photograph it. The photos can be seen in the gallery below. wonderful write up…we did the reverse trip…baton Rouge first and Abbeville last… and we always come back!!! We met Nonc Jules Guidry on April 10 in the school house in Vermilionville. That night, we ate at Randol’s (which I had found myself, Mr. Guidry just agreed that this would be a good place to go). Amazing to return to Southern California at the end of my kids’ spring break and discover your videos – if I had known, I might have looked up the RV park too. You made my day! Thank you so much for your visit and all your compilations of happiness and fun at Betty’s and the surrounding areas. What a wonderful tribute! Come back soon! !